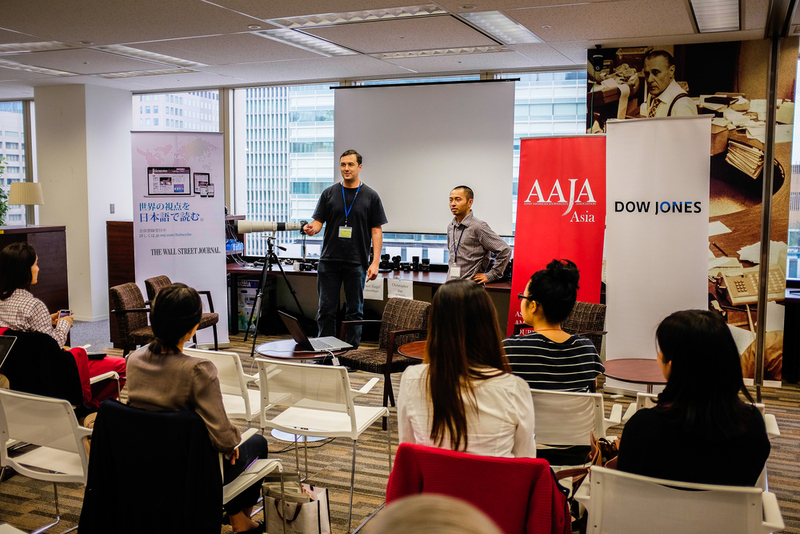 This past Saturday, I took part in the mix with several other individuals passionate about the world of journalism at the AAJA-Asia Tokyo Weekend mini-conference, held at the Dow Jones Japan office. 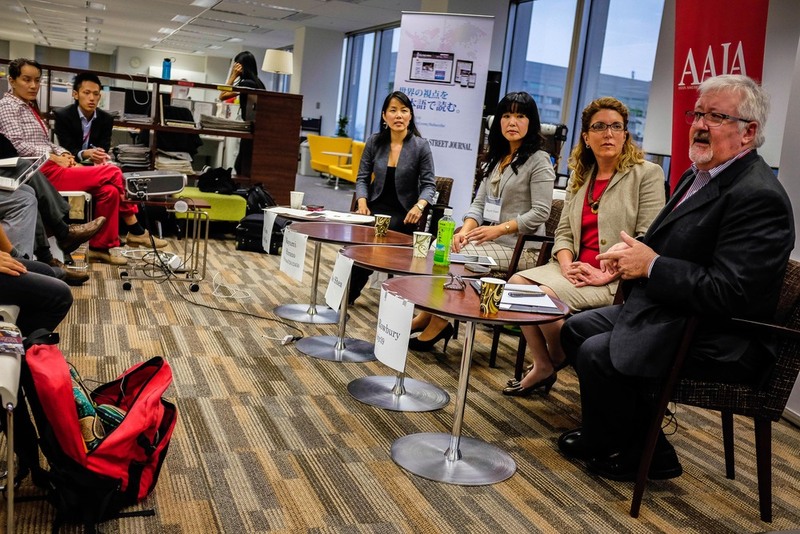 Gotta thank a friend of mine, Albert Siegel, whose a visual journalist based in Tokyo, for inviting me to join along with him to speak about the wonderful topic of photojournalism at the AAJA-Asia event. An hour of photography talk. Gear, how to shoot differently, ethics of visual news, etc... We could've went on forever and we did go a bit over our time limit. Sorry! 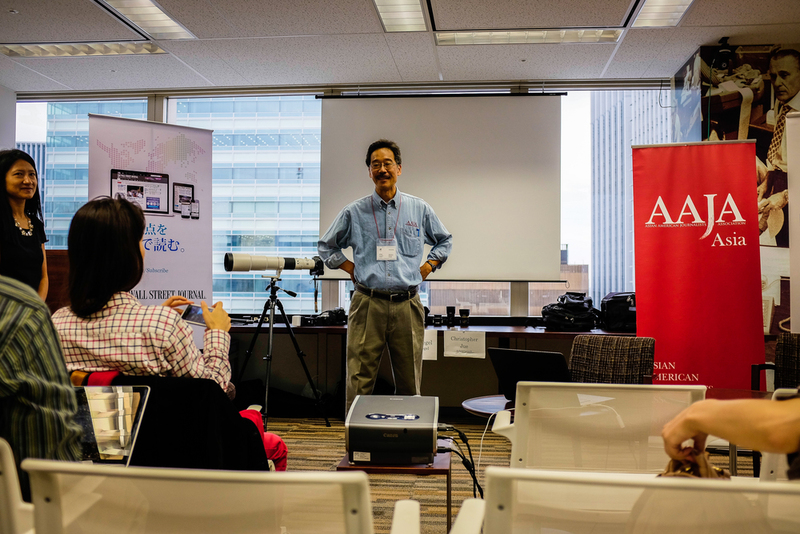 AAJA National VP for Print Ken Moritsugu (AP Tokyo Bureau Chief) kicked the event off with a warm welcoming speech. Jason Gatewood, New Media Journalist, Next Media TOMO News talks about "Creating Your Online Persona"
The panel members included: Mayumi Hirano (CEO, Creative PR), Ross Rowbury (President and Representative Director, Edelman Japan), Cécile Shea (Press Attaché, U.S. Embassy Tokyo), and Rosa Yum (Supervisor, Otsuka Pharmaceutical Co.). Thanks to The Wall Street Journal and Dow Jones for supporting this event. Albert testing out the mic.